Holding an event this summer and looking for a way to impress your guests? Then look no further than The Wanderer! 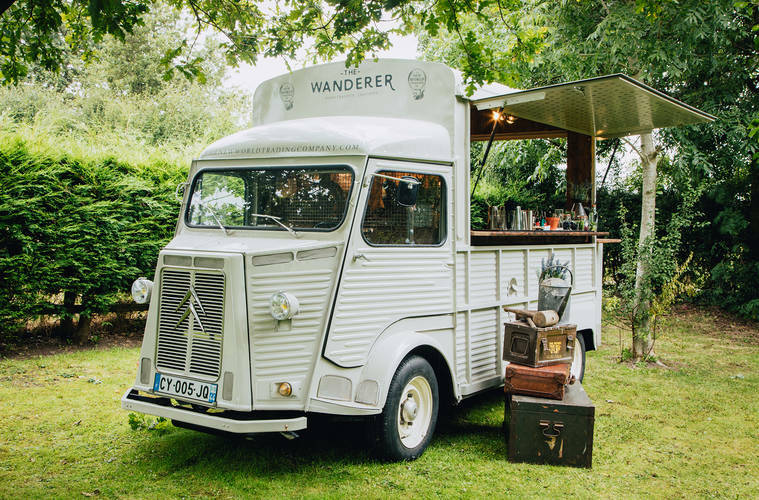 The New World Trading Company (NWTC), proud operator of some of the most exciting brands in the UK pub market (including The Botanist), has launched The Wanderer; a fun, vintage, fully kitted mobile bar that’s perfect for weddings, festivals and a whole host of other events. The aptly named mobile bar started life as a Citroen HY van, but NWTC has used its expertise to convert it into a fully working-bar, serving a wide range of curious cocktails and world ale; giving guests a chance to discover its award-winning experience on the road. The Wanderer can journey around the UK, and will arrive complete with NWTC’s famous bar experts, a multitude of unique spirits, craft beers and mixers. Cocktails will be The Wanderer’s main appeal and those who hire it can create a bespoke menu, choosing from a wide array of NWTC’s incredible cocktails and mocktails. Prices are bespoke to each event and enquiry, please contact bookings@thewanderer.uk.com for further information.